I’ll drink it hot, I’ll drink it cold, I’d eat it in it’s powder form, I’d sprinkle it between two pieces of plain sliced bread, I’d do anything with it. I’m a Milo ho, yo. Milo is a very popular drink here, it is a chocolate and malt powder, and has become a staple in most households and office buildings. Kids grow up (okay, I’m generalising here, I grew up) drinking this stuff, fully expecting to transition to tea in my late teens, and then eventually starting on coffee. The transition is true enough, but I still enjoy a hot cup of Milo in the mornings sometimes, or ice-Milo when I’m feeling decadent. So naturally, when I came across the recipe for Milo Cupcakes from Steph, it was only a matter of when. The when came that night, after work. So what if I was knackered and had fallen asleep while I waited for the cupcakes to bake? So what if I’m trying to refrain from sweets and carbs after 7pm? 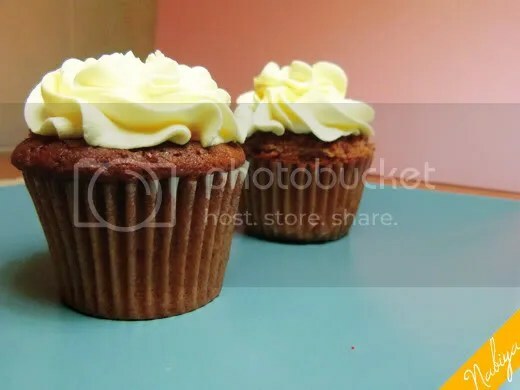 This recipe yielded one of the fluffiest and lightest textures I’ve ever achieved in a cupcake, and the flavour is just so spot-on, I basically crave one just typing up this post. I didn’t manage to get many good pictures of the cuppies as I only had time to snap pictures after two days, and these were the only ones left. So, I’ll simply have to re-do the recipe soon to take better shots! For the frosting: beat butter and salt until fluffy, add sugar 1 cup at a time, beating well after each addition. Then add the condensed milk, and beat well. 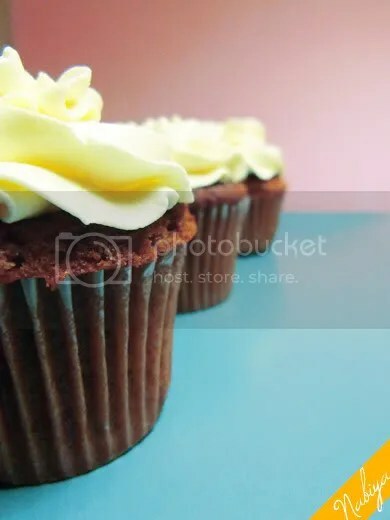 The batter is so light that you have to be sure not to fill too much in the cupcake liners, I filled them up 3/4 of the way as usual, but they all got a bit too big. As you can see in the pictures above, I trimmed a few of them. Then ate the trimmings. As one does.